Today as a church, we are beginning some old practices–communion will only be four times a year, and only for members. All songs of praise will be Gregorian chants–in Latin–by a choir. No instruments will be used at all. Weelllcooommme to Faith Church. All of our lighting will be by candlelight only. Ushers will now place you where they think you should sit. We will only use wooden pews–no pads, no chairs. No one will be allowed to enter our worship service late. And once worship begins, no one will be allowed to get up or leave. Plus, all the ladies will sit on the left, and all the men on the right. Sound good? Hopefully you are not alright with all of that. I can see that some of you might be saying, “Hey, I’d try that once.” As a church, you’re scary sometimes–such an adventuresome lot. But most of you would struggle because of those changes. You would feel the elders were messing with your faith in Christ. You would struggle because some of the way we do things, though not commanded Biblically, is precious to you. It is how you prefer to show your love for Christ. That is how some will feel today, when I teach what the Bible says about speaking in tongues. A few will feel that I am messing with their faith, and the way they show love for Christ. But let me assure you, my heart is to be loving and gracious, and to speak the truth. If I fail at that, forgive me in advance, but that is my heart as we open up God’s Word on an issue that is very misunderstood today. We are taking a break this summer from working our way through 1 Peter verse by verse, and each week examining an issue that is not heard from the majority of pulpits today, is controversial, sometimes divisive, but definitely addressed in the Scripture. 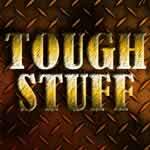 We are calling our series Tough Stuff because it is tough to teach and tough to hear. But we desire to be a God-centered, Bible-saturated church, and are committed to teach the whole counsel of God. Therefore no Biblical issue will ever be avoided at FBC. This morning in particular, I desire to speak with clarity on what is obvious and not debatable in the Scripture, plus any issues that are unclear, try to offer some solution. But understand, one sermon cannot be the final word on any tough stuff issue. Yet we are trying to expose the most important truths, the root issues, and the passages which address the main answers to some of the questions you have. So listen carefully, take notes, get the CD, replay the MP3, and understand what God’s Word says about the gift of tongues. This is a very emotional issue–again, one that requires a lot of truth and grace, principle and love, conviction and care. For a few, the gift of tongues is linked to their salvation. To address this issue is like slamming Jesus emotionally in their heart. For a few, tongues express their affections for Christ. To explain it objectively makes you appear heartless, though you are not. For a few, tongues is apostolic, not for today, off-center, and to even spend time expositing the Scripture on it is a waste of time. For others, they don’t practice tongues, but they do think they are in use today or could be somewhere, and do not want to see this gift of the Spirit minimized because so many of their friends or family members practice the gift. So hopefully I have described the minefield I am walking into by expositing God’s Word on this topic–but again, our goal is to teach what the Bible says, regardless of our doctrinal statement, background, history, ideas, feelings, practices and more. God’s Word is the authority in the life of a Christian. It is God’s will, it is what Jesus would say to us if He were physically standing here today–so let’s find out what He says, amen? Take your outline and open your Bible to Matthew 6. The gift of tongues today is often used as a prayer language, and some would say it is used on the mission field to speak a foreign language in the hearing of those who need to hear the Gospel. Though there are some difficult passages, the Bible does not speak of the gift of tongues as having two purposes, but only one. There is only one gift of tongues, with one main purpose. What can you say to others when we speak of this gift of tongues? Jesus here is mimicking the sounds of meaningless jabber—batta battalageo, and says do not pray that way. Do not pray using meaningless jabber. Don’t pray like the hypocrites do, so everyone can see and hear them, and don’t pray like the pagans do, with meaningless repetition, nor meaningless, non-understandable jabber or babble. But when you do pray, Jesus goes on to say, use this prayer. And He gives the disciples’ prayer as a model for prayer. Not a prayer to be repeated by rote, but to follow as a pattern, to affirm God as our Father, a holy God, whose rule is absolute. We desire to see and follow His rule, desiring His will above all right now on earth, as it is already manifest in heaven. We want Him to work out His purposes, and bring about His earthly rule on earth. So we ask for just what we need. We seek to know His forgiveness, grant it to others, and to keep us from evil each day–wanting His glory in all things. And the main point is, we speak from our heart to Him, mostly in private, with words that we and others understand. God does not want you to speak to Him in meaningless babble. Dr. Luke tells you in verse 6-8, “And when this sound occurred, the crowd came together, and were bewildered because each one of them was hearing them speak in his own language. 7 They were amazed and astonished, saying, “Why, are not all these who are speaking Galileans? 8 And how is it that we each hear them in our own language to which we were born?” “Language” in verse 6 and 8 is dialectos–where we get dialect. To make certain we understand, Dr Luke even tells us the names of the specific known languages they were speaking in verses 9-11. They were speaking the languages of these countries. Then verse 11 adds this astonishing statement, “We hear them in our own tongues speaking of the mighty deeds of God.” This actually not only describes the idea of a known language, but the specific accent and tone of the languages they are hearing. They are not only hearing southern drawl, “How y’all doin’?”–they are hearing southern Alabama, sweet home. These God-fearing, bilingual, out-of-town Jews are hearing the mighty acts of God in their home language. It is a supernatural demonstration of praising God, spoken perfectly in the language from their home country. This is a statement that God’s revelation is not bound to one particular language anymore–this good news is no longer meant exclusively for the Jews, but for all peoples, all languages, all nations and all dialects. The word “tongues” should be translated “languages”, because that is what the word means. Now look at 2:7, “Why, are not all these who are speaking Galileans?” And look at verse 14, “But Peter taking his stand with the eleven.” It was the twelve who spoke in other languages/tongues, proclaiming the mighty deeds of God. The gift of languages was first given to the twelve as a sign of their authority as apostles and unique representatives of Christ. It’s significant to realize that every time an apostle spoke to a different people of a different language, like Paul at Lystra in Acts 14, the apostle did not use the supernatural gift of tongues in order to speak to them the good news. This sign gift was uniquely used in Acts 2, 10 and 19. Tongues were used three times in Acts, but each time the context seems to dictate a very specific purpose. Each time, a major cultural barrier was being broken–the first Gentile converts in Acts 10, and the disciples of John the Baptist, i.e. Old Testament saints in Acts 19. The Spirit was making certain the Jews who were present knew that the salvation given to the Samaritans in Acts 8, and to the Gentiles in Acts 10, and to the disciples of John in Acts 19 was the same they had received in Acts 2, when the Church was birthed. Each time we see tongues manifested in Acts, the apostles were present, and Jews were present–making a clear statement that this Gospel, the good news that God has done the work of saving people from their sins through Jesus Christ alone, was now meant for all nations, all languages, and not just the nation of Israel. And all of us Gentiles say, “Amen!” Which leads us to their purpose . . . Turn in your Bible to 1 Corinthians 14:22–the Corinthians got everything wrong, and spiritual gifts were not the exception. So in 1 Corinthians 12-14, Paul corrects the Corinthian abuse and misuse of spiritual gifts. Chapter 12 clarifies that gifts are manifestations of Christ for each Christian to work together like body parts, every part different, but every part desperately needed for the body to function. Chapter 13, the love chapter, is about spiritual gifts being exercised in love, to build others up. Gifts are not about you, your benefit, your edification, but about building the body of Christ through love, which is sacrificial acts of service to build others up to be like Christ. Are tongues for believers, or unbelievers? Unbelievers. Is that my opinion, or is that God’s Word? God’s Word. I will say to you with Paul in verse 20—grow up, Christian. Stop living by your feelings, and start living by the truth of God’s Word. Don’t form opinions on the basis of what you want, but on the basis of what God says. Tongues are a sign for unbelievers, and verse 21 indicates that they are actually a sign for unbelieving Jews–unbelieving Israel. First Corinthians 14:21 says, “In the Law it is written, ‘By men of strange tongues and by the lips of strangers I will speak to this people, and even so they will not listen to Me,’” says the Lord. This quote from Isaiah was a warning to the southern kingdom. They had been delivered from the Assyrians, but if they did not repent, Judah would be judged by another nation, a strange tongue, the Babylonians. And on the heels of quoting that verse, which was directed at unbelieving Israel, Paul says, like that, tongues are a sign to unbelievers–unbelieving Israel–that they are being judged by speakers of a strange tongue. This Gospel now is not exclusively theirs, but now belongs to the nations of the world that speak many languages. Tongues were a sign of judgment for rejecting Jesus Christ. Tongues were a sign that the Spirit was now available to all the nations, to people of all languages. Again, the progression of the book of Acts shows us how God used the gift of tongues to demonstrate that the Gospel of Jesus Christ would break through every language and cultural barrier. Tongues were a sign that a great transition was taking place in the plan of God–from Jews to all men, from Israel to the Church. Each time tongues were used in Acts, there were Jews present. The Gospel is now not merely the mission of the Jew to be a blessing to the nations–this is their judgment that now the Gospel is meant to go directly to all the languages of the world. Don’t let I Corinthians 14 confuse you–Paul is correcting the Corinthians, and he speaks about the right and wrong usage of tongues. For the most part, Paul makes a distinction between them by the use of the plural and singular in the Greek. So, an apostle or two laid their hands on some of the Corinthian believers, and because the entire canon of Scripture (the New Testament) was not yet complete during this time, the believers spoke the gift of prophecy so they could hear God’s Word, and some spoke in tongues. But like everything else, the Corinthians were doing it wrong. So God says through Paul . . .
Now that the canon is complete, now that we have all of our New Testament, we can confirm anyone’s teaching or experience by the Word of God. The Bible is sufficient, we have all we need to live like Christ and fulfill our mission to proclaim the Gospel. But back when 1 Corinthians was written, the New Testament was incomplete–during the writing of 1 Corinthians, at best the Corinthian church had access to Galatians, James, maybe 1 and 2 Thessalonians. Most likely they had no Gospel, and no other New Testament letter. Plus when the gift of tongues was used in the church, every time it was used–assuming there were unbelieving Jews in their midst—every single time, it was to be limited, and it had to be confirmed as well. Look at 1 Corinthians 14:27–28, “If anyone speaks in a tongue, it should be by two or at the most three, and each in turn, and one must interpret; but if there is no interpreter, he must keep silent in the church; and let him speak to himself and to God.” Tongues must be confirmed by the interpretation of tongues, translated, and could only have two or three speak in tongues in any one service. The entire point of 1 Corinthians 14 is for prophecy to be heard in the church, and not tongues. Because the major point is to edify the gathered church, and you are only edified by what you understand. So Paul tells them to seek the greater gifts, which are the gifts that edify/build the church when gathered. We’re to be sensitive to the lost, but edify the Church when gathered. Biblical tongues must be confirmed (checked by interpretation) and limited to 2 or 3 only. So are tongues today different than Biblical tongues? No serious Bible student; no one who desires to interpret the Bible by seeking the original author’s intended message actually argues with the points I have just made. They are obvious, clear, direct and plain. Biblical tongues were known languages, they had a specific stated purpose, and they were limited and had to be confirmed. Yet just lay those truths over most churches today that practice tongues, and you will see that tongues are being misused. Once you step outside the clear teaching and authority of the Bible, you are in great danger of being misled and off track. Biblically, if these gifts are in practice today, they must be a known language, a sign of judgment, and must be confirmed and limited in their use within the church. So how do some get around this? How do those who are reformed, conservative, but still believe tongues are in use today resolve the current wrong usage of tongues that is contrary to the description of Biblical tongues we find in the Word of God? They will say the tongues of today are different than the tongues of the New Testament. They say all the modern sign gifts: healing, prophecy, interpretation of tongues are different today than they were in the New Testament, that’s how they can be exercised contrary to the Scripture. They are not the same as the ones in Scripture. That may sound good to you, but let me expose what they’re saying, and what you are buying into if you believe that. By saying that the tongues of today are not the tongues of the Bible, they are saying the tongues of the New Testament are no more, and admitting that Biblical tongues have ceased. It is like this–I believe that food is a part of Christian fellowship–I do. And I also think that pizza is the food of Christian fellowship. And I also think pepperoni pizza in all its various forms is the sweetest form of fellowship–thin or thick crust with Christian friends, I suspect that pepperoni pizza is the food of the love feast. Now that belief of mine is just as authoritative as those who believe that the tongues of today are different than the tongues of the New Testament, because it is based on my belief, and not based upon the written Word of God. My thoughts on pizza–though yummy, and you’d be cultured to affirm my beliefs–are all taken from two letters, 1 Fleshalonians and Mueller 5:5, and not from God’s written Word. All my thoughts on pizza are based upon the authority of my opinion, my experience, my preference, my beliefs–not based upon the written, sufficient, all-authoritative Word of God. To say tongues today are different than the New Testament means that the tongues of today are not Biblical–not Biblical means no authority, and that means you only have your own experience or your own ideas confirming your view, and not God’s Word. To affirm anything outside of the Scripture as being from God is a dangerous place to be. What’s the problem with believing experience above the Scripture? The apostle Peter had an amazing, real experience in 2 Peter 1–he saw the Lord transfigured before his very eyes. He was an eyewitness, he saw His glory, he heard the voice of the Father, he experienced this event. It was true and amazing. But what does Peter think of that experience when compared with the Word of God, the Bible you have in your lap? Second Peter 1:19, “So we have the prophetic word made more sure, to which you do well to pay attention as to a lamp shining in a dark place.” Peter says, I have more confidence in the Word of God—surer than I do my own true experience. And we need to have the same commitment–to trust God’s Word over our own experience or ideas. For tongues to be Biblical today, they have to be a known language, spoken as a word of judgment before unbelieving Israel, with only two or three at any one time, and always interpreted so that all may know that what is being said is the truth. On the basis of just that, you might conclude that tongues are not for today–that the gift of tongues has ceased. What are some other reasons to believe Biblical tongues are not for today? 1 If someone is speaking a tongue, and if it is interpreted, if it’s from God–then the speaker will not say anything contrary to the Scripture. They won’t make declarations that are false, like when the Corinthians were affirming that Jesus is accursed in 1 Corinthians 12:3. Since that is true, and the canon of the New Testament is complete, then why do we need tongues? If tongues only can affirm the truth of the New Testament, and we have the New Testament, then we don’t need tongues. 2 Only the earliest New Testament epistles describe the Biblical use of tongues. Of all the references to spiritual gifts, only 1 Corinthians mentions tongues. There is no mention of tongues in Romans 12 nor 1 Peter 4, which were written later. It seems as the Church was established and the New Testament complete, tongues faded from the scene. 3 The Bible does say that tongues are not for every Christian, as many teach today, 1 Corinthians 12:30, “All do not have gifts of healings, do they? All do not speak with tongues, do they? All do not interpret, do they?” The assumed answer in the Greek is no, not everyone spoke in tongues in Corinth, and if they’re active today, not everyone is to be a tongue speaker today. 4 And the Bible does say that tongues will cease on their own in 1 Corinthians 13:8, “Love never fails; but if there are gifts of prophecy, they will be done away; if there are tongues, they will cease [middle voice, meaning they will cease on their own]; if there is knowledge, it will be done away.” Again most important, for tongues to be used today, they must be a known language, as a sign for unbelieving Jews and controlled, limited and confirmed. Now can God do what He wants—yes, I am not limiting God here. Does our Lord Jesus Christ do miracles today? Yes, He saved you. Is God the Holy Spirit actively at work today? Yes. Do we desperately need the Holy Spirit to live the Christian life? Yes. Then what should we do? Ephesians 5:18, “Be filled with the spirit”—a command to every Christian every moment to live dependent. It is a passive command–you can’t do it, it has to be done to you. Live saturated in the Word of God, confessing all known sin, living dependently, serving and sharing. The New Testament shows us and tells us, every time we see the Spirit most manifested is when we are serving our spiritual gifts and sharing the Gospel of Jesus Christ in the world. We have a barrier here at FBC–I’m not getting through to you. Every member and faithful attender of FBC is to serve in ministry. It is for your good and His glory, and until you do so, we are not going to see God do the super amazing things He wants to do here. (He is doing amazing things, but there is more–only if we are obedient–there is desperate need in set-up, take-down, children and more.) I do not know what else to say or do to get you to obey. You want to blow people away? Love them, show joy, manifest peace while they are all panicking . . . be gentle, self-controlled, be patient–show His fruit, and people will see Christ. Work at this, a fruit per day. Christ died for your sins–turn from your sin–give Him your life.